Ready to get started on the next phase of your home buying or selling process? 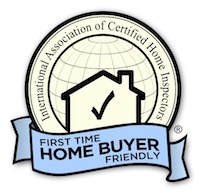 Simply fill out your information in the form on this page, and one of our friendly reps will be in touch with you to answer any remaining questions and get you scheduled for your thorough, honest home inspection. We will reach out to you within 2 hours of your submission. Feel free to request your ideal date and time, and we will be sure to accommodate you.